Aretha was a giant of a talent. She played, she wrote, she produced and she sang...like nothing else in this world, she channeled the spirit and let us experience it in our souls. 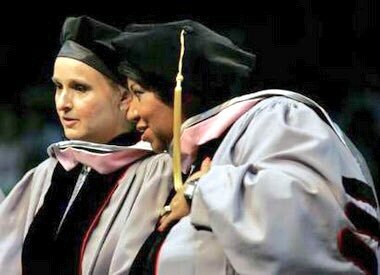 We were both given honorary doctorates from Berkeley College in ‘06 I was honored to meet her.